An IP address is the primary method of identifying any individual’s location on the internet. Anyone can see your IP and use many different websites available to check your location. This is a very easy process and any one with enough knowledge of the internet can do it. This property of IP address gives it many different uses on the internet. However, the most important of these usages is the internet censorship that is implemented on the basis of these IP addresses. Many people will know be wondering how an IP address can be used for internet censorship. However, the procedure is really simple and easy. Let’s consider Facebook as an example because it is blocked in China by the Chinese government. What the Chinese government does is that it monitors the IP address of all of China’s citizens. Whenever a Chinese IP tries to access an IP that is associated with the Facebook server, the connection is blocked and an error message is sent to the user that says that the site is restricted. Apart from this use as a filter, IP addresses are also dangerous if someone is trying to sniff your data or steal your files. Therefore, to be careful of your privacy and security on the internet, what you need to make sure is that your IP address is hidden so that anyone cannot use it to pose as a security threat to you. However, the problem with this is that if we hide the IP address, communication over the internet is not possible as the packets of data that travel in a network need an IP address to which they should be routed. So the only solution is this case is to get a different IP address that will mask your current IP address. Why buy a Netherlands IP? We will recommend you to get IP address of Netherlands. The main reason for this is that Netherlands is one of the fore runners of internet freedom and allow its citizens uncensored access to everything available on the internet. 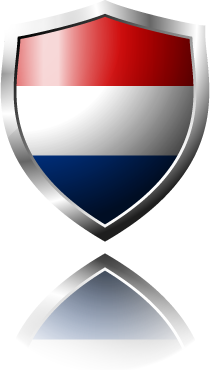 To get an IP address of Netherlands is easy and you can do it by simple purchasing a VPN connection. How Does a VPN Give you Netherlands IP? A Virtual Private Network is a connection formed between you and a server of a VPN service provider company. Whenever you browse the internet, your request is sent to the server of VPN Company that hides your IP, assigns the request a Dutch IP and then does whatever has been requested. In this way, on the outside whenever anyone wants to see your IP, he will see an IP address of Netherlands. This will provide you full internet freedom as well as privacy. TOP 5 VPN SERVICE PROVIDERS! There are tons of VPN service providers who claim to have best services. However, you should tread carefully and choose only the best service providers for your VPN connection. Below you can see that we have listed 5 top VPN service providers that offer Netherlands IP. They have been chosen on the basis of customer satisfaction, quality and cost. Enjoy the freedom!